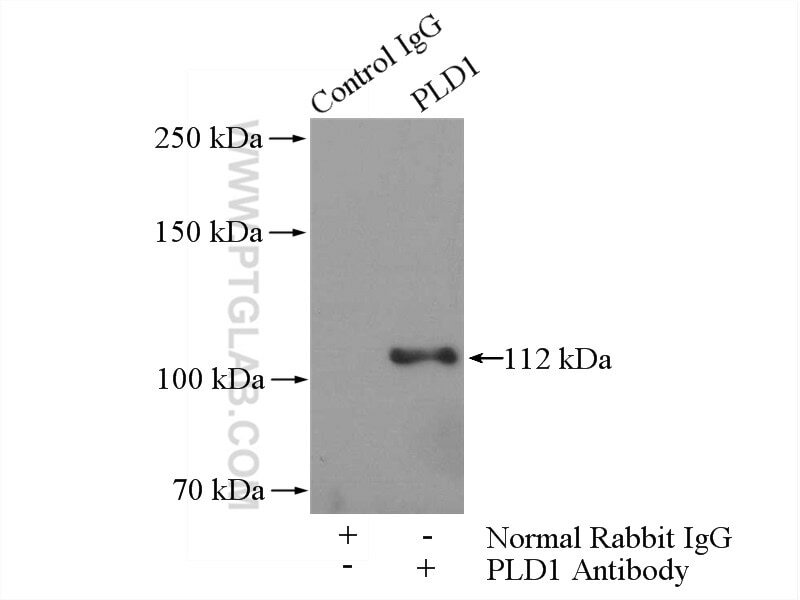 IP Result of anti-PLD1 (IP:18355-1-AP, 4ug; Detection:18355-1-AP 1:500) with HeLa cells lysate 1200ug. PLD1(Phospholipase D1) belongs to the phospholipase D family. It is implicated in the release process of a variety of hormones, most likely at a late stage of exocytosis through the production of lipids that are essential for the fusion process and seems to be also essential for fast neurotransmitter release. 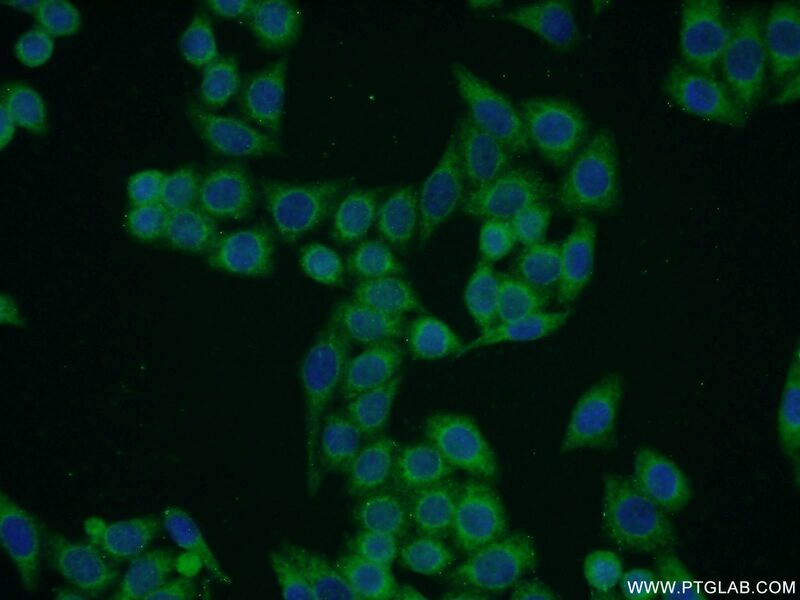 PLD1 is primarily localized in vesicular structures such as endosomes, lysosomes and autophagosomes. Class III PI-3-kinase activates phospholipase D in an amino acid-sensing mTORC1 pathway.